A traditional bed with an element of the modern, the Suffolk Bed Pine is both sturdy and stylish. 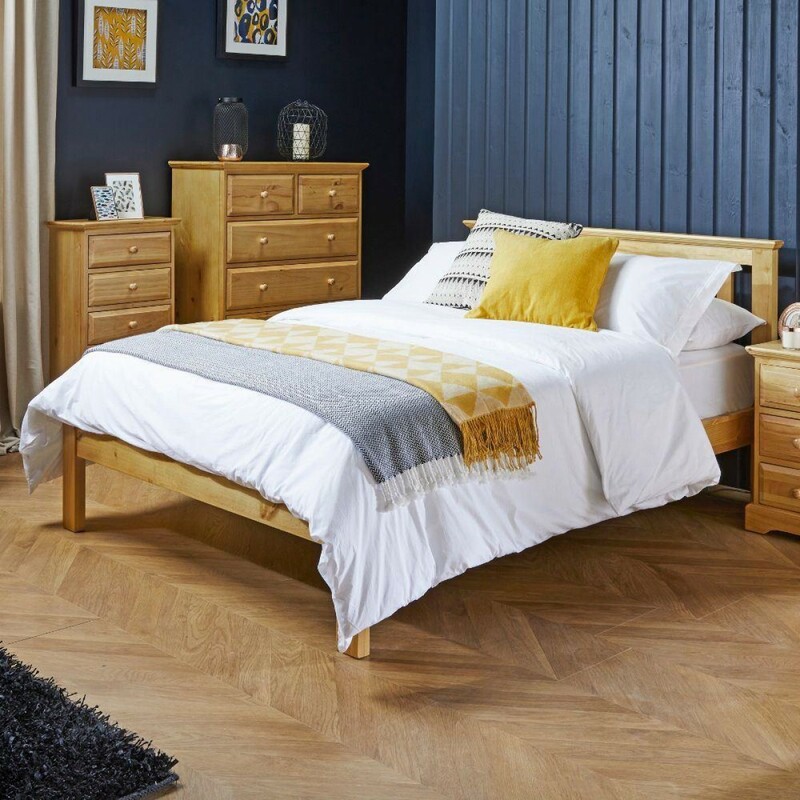 Constructed from solid pine and finished with a natural look, the Suffolk Bed Pine provides your bedroom with a warming sense of home. Available in several sizes, ranging from single to king size, the Suffolk Bed Pine can cater well to essentially any kind of bedroom, whether it's a child's first "grown up" bed or a charming addition to a guest room. The Suffolk Bed Pine consists of a stable and subtle headboard as well as a low footboard, providing a classic look that doesn't compromise on comfort. The frame itself is supported by both a metal bar and several wooden slats, granting improved air circulation and a solid foundation for any kind of mattress, no matter how heavy. Assembling the Suffolk Bed Pine should be free of any issues, thanks to the comprehensive three step instructions and the essential hardware being provided. Even those that consider themselves a layman of DIY will encounter little challenge when constructing the Suffolk Bed Pine, and they need only equip themselves with a simple screwdriver to complete the process. The product is part of the Suffolk Pine Wooden Bedroom Furniture Collection.